In western North America, changes in the seasonality of precipitation are predicted due to climate change. This will have strong impacts on plant ecophysiology and ecosystem functioning in water-limited ecosystems. 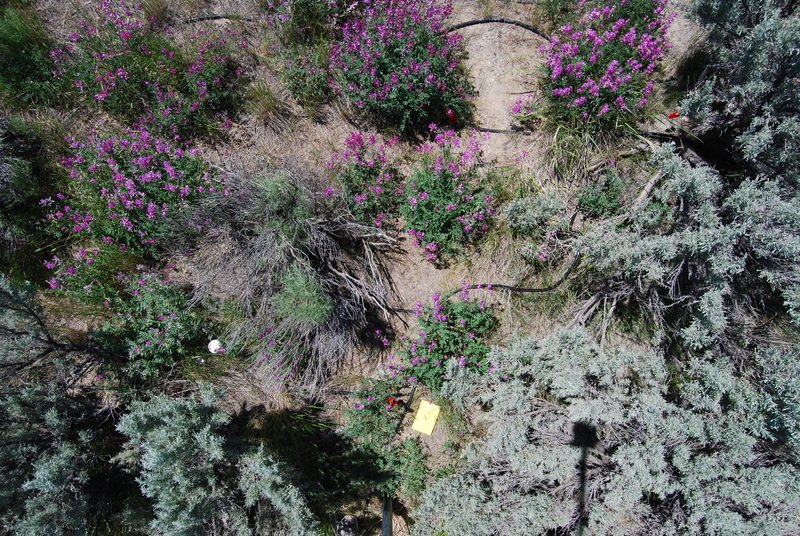 I am currently involved in a long-term (18+ years) ecohydrological experiment at the Idaho National Laboratory where supplemental irrigation has been applied to vegetation plots to simulate possible changes in summer or winter precipitation. We have been quantifying how these irrigation treatments affect ecophysiology, ecohydrology, population biology, and ecosystem processes in shrub-dominatedcommunities. Our results are showing that changes in precipitation seasonality do affect productivity and water use in shrubs at both individual- and population-level scales, but changes are contingent on soil depth. Plant and population responses may result from a combination of edaphic factors (anaerobic soil conditions) and organism-level water balance (i.e., balance of maximum productivity with hydraulic constraints). Planned future research includes quantifying changes in carbon cycling and pools among irrigation treatments, as previous studies have shown that semi-arid shrublands may be important carbon sinks in the future. Also, we’re interested in studying coupled nitrogen-carbon-water processes in this ecosystem, as belowground processes may have greater effects on shrub productivity than changes in aboveground carbon fluxes. Potential student projects include: quantifying components of plant and ecosystem respiration to parameterize ecosystem process models, quantifying differences in plant-level water fluxes, validating predictions of ecological niche models, quantifying changes in phenology using local (digital camera) and landscape (satellite) remote sensing methods, investigating changes in invasion biology of exotic grasses such as cheatgrass (Bromus tectorum) and crested wheatgrass (Agropyron cristatum) into native vegetation communities. Warming temperatures due to climate change are predicted to cause increases in the altitude of alpine treelines. Mechanistically, this can occur only via successful recruitment of tree seedlings into alpine meadows. I am involved with a large-scale project investigating how experimental warming will affect tree seedling establishment across the alpine-treeline ecotone (see https://alpine.ucmerced.edu/pub/htdocs/project_details.html). 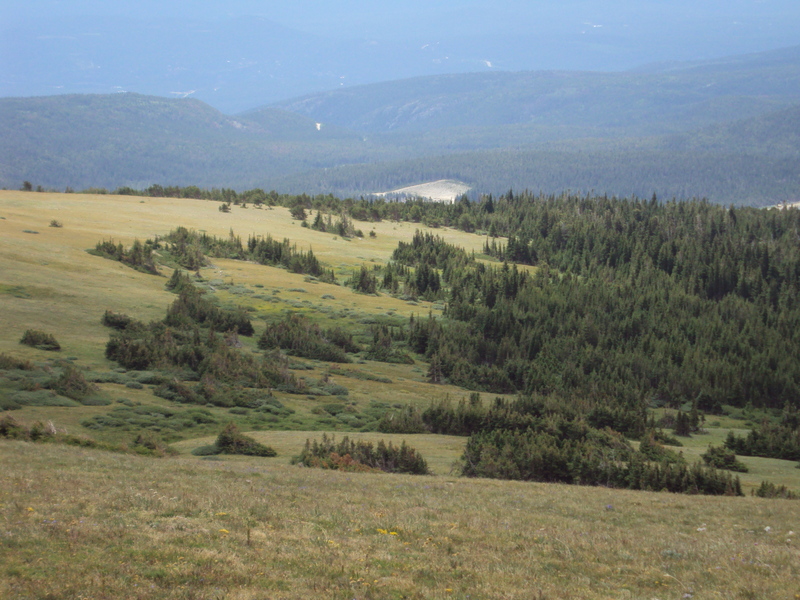 Our contribution to the large scale research project focuses on understanding abiotic, biotic, and genetic limitations to seedling carbon balance, establishment, and survival in high elevations. Our research is revealing that successful seedling establishment depends not only on positive carbon balance but also on escaping critical water-relations thresholds. We are finding also that juvenile seedlings express adaptive traits that enhance carbon gain (e.g., increased specific leaf area), even at the expense of exposure to harsh environmental conditions. Finally, in common garden experiments we have found that provenances (i.e., ecotypes) selected for growth can physiologically outperform stress-selected provenances under favorable climatic conditions, such as decreased frequency of nighttime frost. Climate-induced “leap-frogging” of tree provenances may have important implications to treeline stability dynamics. This large research project involves many investigators from a handful of institutions. This creates a vibrant, multi-faceted, and collaborative environment, with much potential for student researchers. Potential student projects include: quantifying hydraulic limitations to seedling establishment, comparing the ecophysiology of pioneer vs. shade-adapted seedling species, testing the competing carbon-gain vs. carbon-use limitation hypotheses on treeline formation, quantifying the role of biotic interactions on seedling establishment in warming scenarios. Cloud forests are pandemic, and are characterized by sharp vegetation boundaries that co-occur with sharp cloud gradients. Because climate change is predicted to alter cloud type, frequency, and altitude of occurrence, understanding how plant ecophysiology varies due to cloud cover is vital for predicting changes in cloud-forest plant species’ range limits in the future. 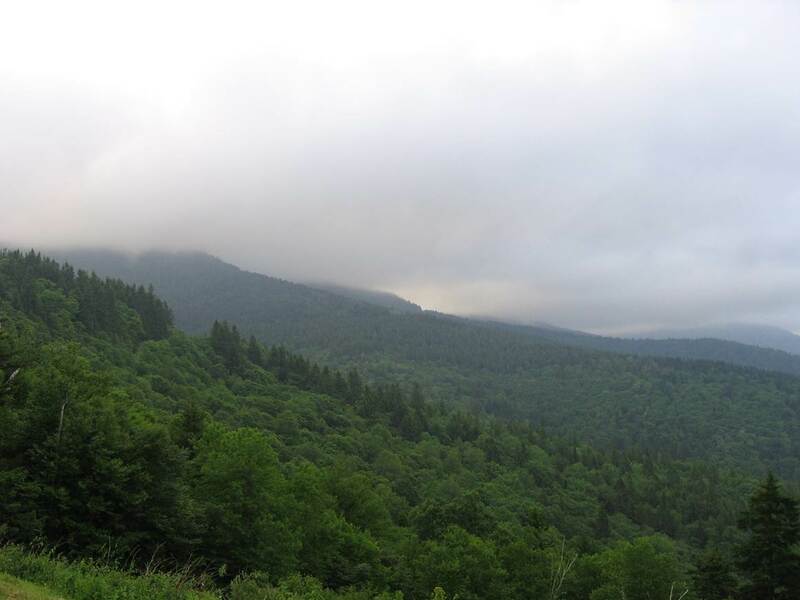 The Southern Appalachian spruce-fir ecosystem is a model system for quantifying couplings between vegetation and cloudiness. This sky-island ecosystem is enshrouded in cloud fog 30-40% of a typical summer day, with cloud immersion occurring on as much as 60% of all days annually. My dissertation research focused on comparing differences in carbon and water relations due to sky condition (i.e., sunny, low-cloud, cloud-immersed) in both tree (Abies fraseri, Picea rubens) and shrub (Rhododendron catawbiense) species. We found that while photosynthesis increased under cloudy skies, cloud-immersion resulted in greatly reduced carbon gain in all species, underscoring a carbon-limited ecosystem where evergreen species might outcompete broadleaved species. We also found that cloudy conditions resulted in substantial changes in light directionality (direct vs. diffuse) and spectral quality (specifically, ratios of blue:red, blue:total sunlight, and red:far red), that benefit photosynthesis. Hydraulic constraints in conifers may also be causative factors limiting species’ range limits in these cloud forests. Collaborating with colleagues at Appalachian State University, Duke University, and NC State University, planned future research includes discerning soil-plant-atmosphere hydrological feedbacks in this ecosystem at multiple scales (leaf-organism-landscape) during varying cloud conditions in both field (natural forests, Christmas tree farms) and experimental laboratory (fog chambers) settings. Potential student projects include: comparing the ecophysiology of broadleaved and conifer tree species under various cloud conditions, quantifying variation in tree water fluxes due to cloud conditions using sap flux techniques, using GIS and satellite imagery to compare seedling population biology with cloud patterns. 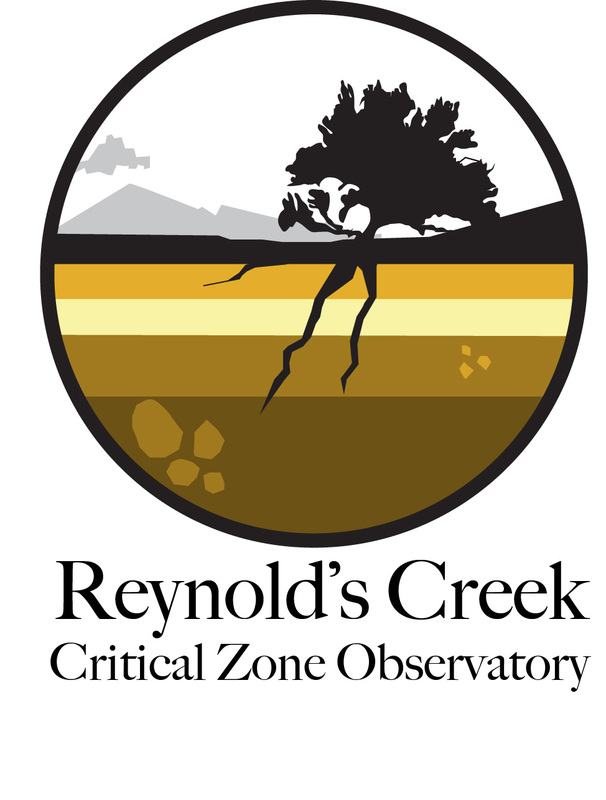 We are a member of a team of interdisciplinary scientists at Idaho State University, Boise State University, and USDA ARS that joined to form the new Reynold’s Creek Critical Zone Observatory (RCCZO-http://criticalzone.org/reynolds/). RCCZO is devoted to the quantification of soil carbon processes to address the grand challenge of improving prediction of soil carbon storage and flux from the pedon to the landscape scale. RCCZO is located in the Reynolds Creek Experimental Watershed in southwestern Idaho. As our component of the collaborative research, we are linvestigating leaf to canopy scale controls on water and carbon fluxes along an elevation gradient using gas exchange, sap flux, and canopy-scale ecosystem exchange measurements. (reinkeit@isu.edu).